Our vendor partners can add value well beyond the products they provide. By the same respect, our vendors can offer much more than products and services. They have become an extension of our team and partners in the success of our department, program and company. They work with us to find solutions to both the simple and complex challenges we face on a daily basis. These relationships have become an essential factor in the success of today’s loss prevention programs, and it is more important than ever that we effectively manage all aspects of our vendor relationships—from selecting the right vendor to achieving optimal results that best meet our business objectives. For over 40 years, CONTROLTEK has been helping customers solve their business problems in new, efficient and secure ways. CONTROLTEK’s tamper-evident security packaging helps the nation’s leading retailers, banks and armored couriers transport cash safely and securely. Inventory protection and visibility solutions help retailers protect their merchandise better and run their operations more efficiently. 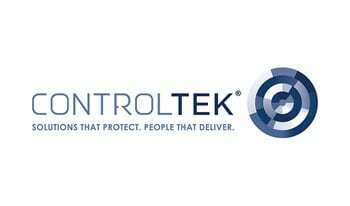 As a second-generation, family-owned business with a history of stable growth and a reputation for strong customer focus, CONTROLTEK continues to deliver on a core promise every day: provide solutions that protect and always be the people that deliver. Through a partnership with Nedap, a European manufacturer of EAS and RFID systems, the company is able to offer LP technologies that set the benchmark for ease of use, detection rate, design and analytics. To help customers the get the ROI that they expect, CONTROLTEK also offers ROI analysis, documentation, and associate training and can work directly with IT departments to ensure compliance with policies and procedures. Those efforts have been rewarded with the trust of some of the largest retail chains, which now rely on CONTROLTEK for their inventory protection solutions. In the mid-1990s, CONTROLTEK introduced the TripLOK® security bag, which has since become an industry standard in banking and government cash transport. Soon thereafter, they introduced SafeLOK®, which is now one of the most popular cash deposit bags in the retail industry. In 2001, CONTROLTEK introduced the world’s first reliable plastic coin bag, CoinLOK®. In 2011 the company began offering EAS and RFID solutions, using the same attention to quality and security as with the cash packaging. CONTROLTEK now offers a wide selection of hard tags and labels for a variety of product protection uses. Tags and labels distinguish themselves by their high detection rate, ease of use, sturdy construction and budget-friendliness. Today CONTROLTEK has presence on three continents; with products delivered via a state-of-the-art logistics network; and are relied on by some of the world’s premier financial and retail organizations.